There is a lop-sided feel to Round 6 in the 2015/16 Euroleague as there are only four games taking place on Friday evening. This means that the vast majority of basketball business has been taken care of already and there has been some breath-taking results and big scores already this week. We start off with the Wednesday night game that got us underway this week and it certainly made European basketball fans sit up and take notice. Things go from bad to worse for reigning Euroleague champions Real Madrid and they lost at home this week. This sees the champions fall to a 2-4 record and they are now in serious risk of failing to make the Top 16. This would be a shock for the entire league but the thing is, Real Madrid deserve to be where they are at the moment. They have the players who can easily turn things around in the last four games of the regular season but they haven’t shown any form this season. Tyrese Rice was on fire for the Russians, offering up 18 points and 8 assists, which is a career high for the player. The Eurocup champions moved on to a 4-2 record in Group with Alexey Shved offering 13 points and James Augustine providing 12 points. Paul Davis supplied 9 points and 10 rebounds while Sergey Monya stepped up in the final quarter, bagging two three point shots, and 11 points in total. Sergio Rodriguez provided 17 points while Gustavo Ayon had a double-double of 14 points and 15 rebounds. Both Jaycee Carroll and Felipe Reyes grabbed 10 points each. The Turkish side grabbed the opening 11 points of the game in Munich and they remained in full control as they grabbed their fourth win in a row. 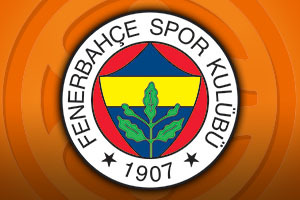 This places Fenerbahce on a 5-1 record while the hosts fall to a 2-4 record and have now lost three games in a row. Bobby Dixon was a star man with 25 points and he was integral in the blistering start made by the away team with 16 points in the opening quarter. By the end of this period, the Turkish team held a 20 point lead. Luigi Datome was also on great form, offering 17 points and 6 assists while both Pero Antic and Ekpe Udoh scored 10 points each. For the hosts, Nihad Djedovic sparkled with 16 points while Bryce Taylor, KC Rivers and Paul Zipser all managed 10 points each. This was a thrilling night in Strasbourg as the home team battled back from being 21 points down in the second half to grab a dramatic win. This moves the hosts on to a 3-3 record, with a perfect run at home, while the side from Belgrade dropped to a 2-4 record in Group A. The away team started strongly with Quincy Miller being at the heart of everything that Crvena pulled off in attack. At the start of the third quarter, the score line read 34-55 but this is when Jeremy Leloup galvanised the team and the hosts got back into the game. There was a 15-0 run over the third and fourth quarters and with the score close at 63-64, the hosts went on a 10-0 run, not giving up any points in the final 12 minutes and 20 seconds of the clash. Leloup provided 24 points and 8 rebounds while Rodrigue Beaubois provided 17 points. Vladimir Golubovic provided 13 points and 9 rebounds while Louis Campbell also offered up 10 points. For the away team, Miller offered up 23 points, with 14 in the opening quarter, and he also offered 12 rebounds. His efforts were in vain but he was backed with support from Marko Simonovic who grabbed 18 points and Marko Guduric who offered up 13 points. The Greek side suffered a number of injuries and had to deal with a very changed line-up but they still grabbed the road victory which moves then on to a 5-1 record. 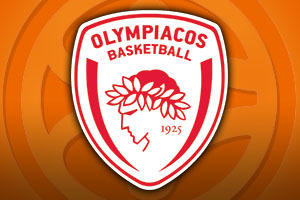 Olympiacos know that one more win will secure their place in the Top 16. The loss moves the hosts on to a 3-3 record and they still have a lot to do to continue their Euroleague season. Othello Hunter was the key man with 19 points while Ioannis Papapetrou provided 16 points, Vangelis Matzaris offered up 12 points and Dimitros Argavanis offered up 11 points. Jacob Pullen was the key player for Cedevita with 13 points, James White offered up 12 points and both Miro Bilan and Luka Babic grabbed 10 points for the home side. The hosts were always comfortable in this game, moving on to a 4-2 record and sole holder of second place while the Italians suffered their fifth defeat in a row and now sit with a 1-5 record. The home team started making their mark on the game in the opening qyarter and by half-time were 52-37 ahead. The visiting team tried to rally, pulling it back to 77-72 with just 6 minutes to go but that was as close as things got. Darius Adams grabbed 20 points; Ioannis Bourousis provided 14 points and 13 rebounds for a double-double while Kim Tilie offered up 10 points for the winners. As you would expect, Alessandro Gentile grabbed 24 points for the away team, Stanko Barac grabbed a double-double of his own with 16 points and 12 rebounds while Jamel McLean provided 13 points. The hosts grabbed their first home win of the season in this game and they have their defence to thank for offering up such a strong display. The hosts improve to a 3-3 record for the season while Zielona Gora drop to a 1-5 record. The hosts were mainly in control and even though there was a rally in the third quarter from the away team, this was soon quelled and an 8-0 run removed the game from the grasp of Stelmet. Paulius Jankunas delivered 16 points, 7 rebounds and 4 assists while Mantas Kalnietis provide 13 points and 5 assists. Other key players for Kaunas were Oliver Hanlan, who grabbed 11 points and 8 rebounds while Ian Vougioukas provided 10 points. The top players for Zielona Gora were Mateusz Pontika with 15 points and 7 rebounds while Vlad Moldoveanu grabbed 10 points in the loss. Barcelona ran amok grabbing their fifth win in a row in Group C and they even managed to break their team scoring record. They had previously clocked up 104 points in 2003 and 2014 but this high of 107 takes them to a new level. 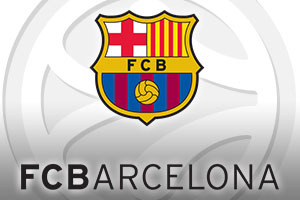 Barcelona are now on a 5-1 record and have defeated every side in the group, gaining revenge for an opening round loss. The away team are on a 2-4 record for the campaign so far. Shane Lawal offered 19 points for the hosts, Carlos Arroyo provided 18 points, Ante Tomic provided 16 points, Justin Doellman offered up 14 points and Juan Carlos Navarro grabbed 10 points for the Catalan team. Of course, the top scoring player was Joe Ragland, with 26 points, while Kenan Sipahi offered up 14 points and Kenny Gabriel provided 10 points for the losing team. The Russian side got back to winning ways and they ensured that new Maccabi coach Zan Tabak endured a tough start to his reign. Milos Teodosic was in sparkling form for the Russians, grabbing 25 points with 19 of these coming in the first half. The Russians are now on a 5-1 record while the hosts slump to a 1-5 record. Nando De Colo grabbed 15 points while Vitaly Fridzon served up 12 points for the winning team. Maccabi were boosted with 20 points from Taylor Rochestie, Brian Randle provided 19 points, Ike Ofogebu provided 15 points and Devin Smith grabbed 14 points in the loss.